BH3 is a short stayover on the way to BH4. 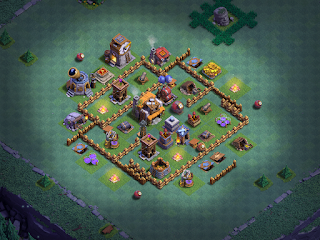 Most players will be here on day #2 (if not day #1) and it's really just an opportunity to max some troops and put down the basics of defense. 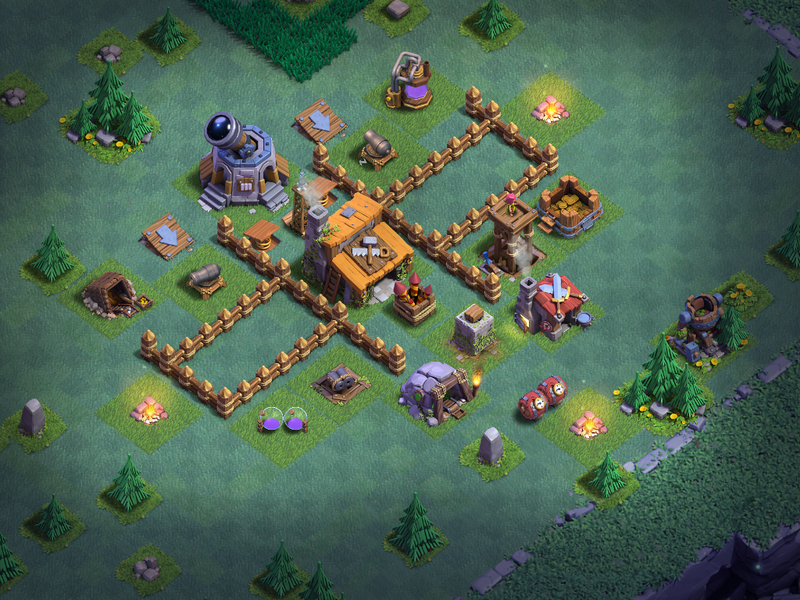 There's not a whole lot to say about this base design other than it works really well as you build your game. Players attacking from the left get into a lot of trouble trying to break through the walls, while players coming in from the right get into the base...after tripping the spring traps and getting bounced to the other side of the game grid by the Push Traps. I used this early on in my BH3 game, which is why you don't see the Crusher. Eventually, I picked up the Crusher and put it next to that lone Cannon on the left (I just schootched it down a block to make room). This design relies primarily on pathing. 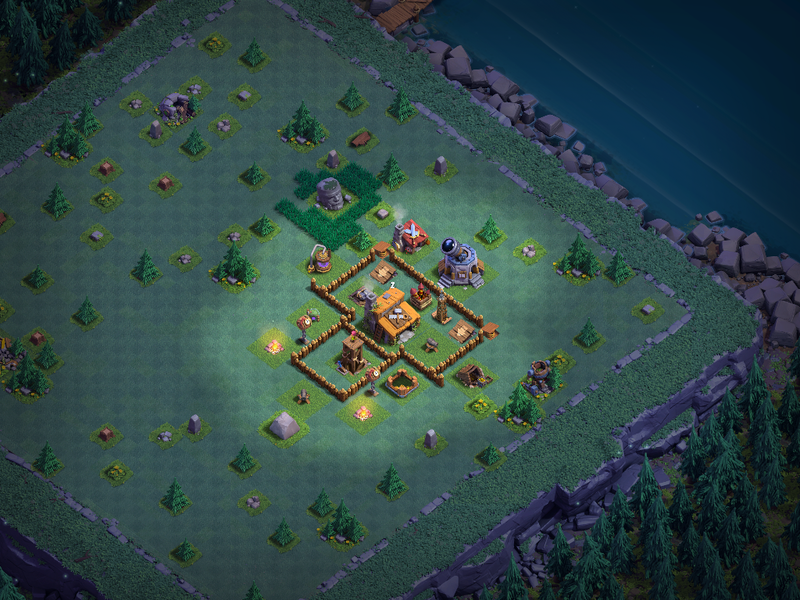 Giants are drawn to the corners; Push Traps throw unsuspecting troops into a box where they have to take out a wall to get back into the attack, or are quickly cut down by the Double Cannon/Archer Tower. Attackers are "encouraged" to come at the topmost Cannons...which puts them in range of the Push Traps first, then the Spring Traps when they walk around the walls to get to the Hidden Tesla they activated and has been pummeling them while they worked on the Cannons. 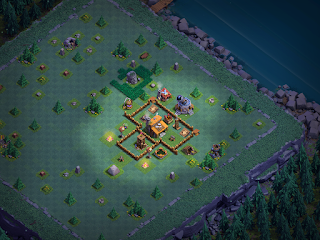 From the bottom of the base, most attackers will deploy archers to take out the easy to reach junk buildings...only to be hit by the Mines. I've had mixed results from this game. Really good attackers are able to get low percentage, two-star wins. Others tend to get around 20% or less. It's good enough to get me by, though and I'm hanging out around 800-900 trophies.